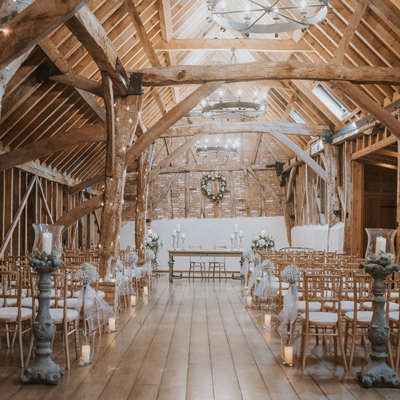 Nestled in the Essex countryside, That Amazing Place is Essex’s newest premier wedding venue and is ideally suited to couples seeking a blank canvas on which to create their dream wedding. A recently renovated Grade II listed Country Manor House, in a picturesque location and with breathtaking views of the grounds and lake, That Amazing Place offers the perfect backdrop for your special day. A peaceful, private residence, That Amazing Place is an exclusive use venue. 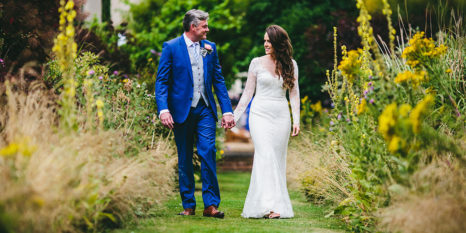 This means that when you book your wedding, their beautiful Manor House (which accommodates up to 27 people, treatment rooms, sauna and steam room!) are exclusively yours for the day and night of your wedding. Not only does this give you complete privacy on your special day, your family and friends can also relax and enjoy themselves without the hassle of having to worry about transport. They offer large bright rooms with contemporary interiors ideal for small intimate gatherings for up to 80 people seated, or for larger numbers they can extend the house with a marquee structure, complete with lake view. Fully licensed for civil ceremonies, you can say “I Do” in your choice of their elegant reception rooms and enjoy fantastic food from one of the carefully selected preferred caterers. Open to ideas, with a flexible approach and a willingness to accommodate your every need, the team at That Amazing Place are here to guide, excite and inspire you! With a wealth of experience and contacts in the industry, they work with the highest quality suppliers to make sure you are in the best possible hands. That Amazing Place offers exclusive overnight accommodation in their stylish and extremely comfortable bedrooms. With their new luxurious Bridal Cottage (available from 2018) and 13 additional guest rooms (sleeping up to 27 people), not only does this give you complete privacy on your special day, but your guests can also relax and enjoy themselves without the hassle of having to worry about transport. Winners of The Wedding Industry Awards ‘Best Countryside Wedding Venue for the East of England’ 2018. All remaining dates in December 2019, January 2020 and February are now discounted. Last Saturday we held our wedding at That Amazing Place and it literally was amazing. Angie and the staff were incredible and accommodated every situation. The bar man was so much fun and really friendly. The rooms were fantastic and allowed us to have all our friends and family stay. The venue was beautiful with some great settings for our photos. Thank you for helping us celebrate our perfect day. We look forward to celebrating our anniversary here in the future. From the moment we went to visit this stunning venue we knew it was the one to book for our special day! Our wedding ran smoothly and everyone at the venue is lovely. Great work by Angie, every time you email she’s very responsive and on the day she was great. The owner Paul gave us a bottle of Prosecco whilst we were 'getting ready' and we really did feel very much at home. Everything was perfect we had a fantastic day. Thank you "That Amazing Place". From the moment we walked into TAP, we were blown away. We have waited 18 months for our special day and special it was. Angie and all the team made our day so incredible that we were totally blown away. The attention to detail was second to none and we were welcomed as part of the family. If you get the chance to stay the night before your wedding, I couldn't recommend it enough. Paul and his wife practically passed the house over to us to treat as our own, nothing was too much trouble and their hospitality was second to none. The late addition to our wedding was the use of the marquee and we are so so happy that we did this. We were blessed with beautiful weather on Saturday which meant that the marquee was opened up overlooking the stunning grounds. Myself and Paul didn't want the day to end and would love to do it all again. I'm busy pondering what I could book TAP for in the near future, not feeling ready to let go of it just yet! John and I firstly would like to say thank you, Paul, Jayne, Jakey and the staff of That Amazing Place for making our day an absolute dream. We can't quite put it all into simple words but everything was just outstanding and we felt really well looked after and you were just brilliant Angie, thank you. Sarah and her team - also just amazing. Food was exceptional. Nothing felt like it was any trouble for any of you on Saturday and we are so appreciative of that. Also, the feedback we've received from guests, simply amazing. GET MARRIED HERE!!!! Myself and my new husband got married at That Amazing Place last week and Angie and the team were just incredible. This place truly lives up to its name, from the moment we booked our wedding day until the last moments of it, we had the easiest, most fun experience. Unfortunately, it rained literally the entire day of our wedding meaning we couldn't use the gorgeous grounds but the inside is truly just as beautiful. The layout is great, very easy to socialise with all your guests, but also plenty of room in the bar/ reception area for those who can't handle the dancefloor all night! The bedrooms were just gorgeous - the bridal suite was just beautiful and everything and everywhere was absolutely spotless and flawlessly maintained. We love, love, love That Amazing Place and would whole heartedly recommend it to ANYONE! Thanks a million Angie and the team. Angie, Paul and Jayne - Thank you. Not only does That Amazing Place live up to its name completely, so do you guys! We had the best day EVER! We had decided before we even entered this was where our wedding would be... 2.5 years ago!! It’s been a long time coming and can’t believe it’s now over! You all made our day our so special from start to finish and truly thank you. Love the new Mr and Mrs Crabb. I don’t even know where to start but maybe by thanking you for making our day so special. Every single one of our guests couldn’t believe how stunning That Amazing Place was/is and people are still talking about our wedding and want us to get married again! 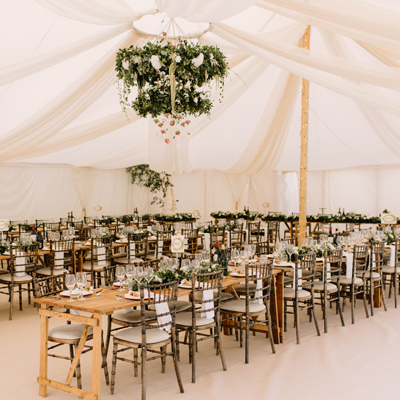 When we originally booked the venue the marquee hadn’t yet been built, however we decided to add it to our package and so glad we did as it was simply stunning. Angie, you and Sarah did an absolute amazing job decorating the venue with all my bits and the food was out of this world. Any question I had or things I wasn’t sure about, I could always reach you by email and you wrote back within a day if not that day. You even gave me great advice when needed. Paul the owner was lovely and from the moment we got there he made sure we had plenty of Prosecco and he really looked after us all so thank you to "That Amazing Place" and everyone involved in our wedding. Our wedding at That Amazing Place was simply brilliant. The venue was perfect for our special day and gave us the flexibility to include a number of elements including a 1920's theme, a casino, bar area, dance zone, cocktail bar, sweet bar and a formal wedding breakfast! Angie is absolutely brilliant, professional and extremely organised and reliable; we wouldn't have had such a personalised, positive experience if it wasn't for her hard work in making our day special. The owner of the venue, Paul, was absolutely superb with us and made us and our guests feel very welcome. Premier Crew catering were superb! Overall, we had such a positive experience and I thoroughly recommend getting married at That Amazing Place to anyone! We got married at That Amazing Place on 30th March and had the most wonderful time. The name doesn’t do it justice - we couldn’t have asked for more. Paul, Angie and the team made it not only an amazing day but were so relaxed, laid back and honestly could not have done more. Thank you for making our day even better than we could’ve imagined! Now that the dust has settled and we’ve been newlyweds for a week I wanted to email you to tell you what a wonderful day you, paul and your team provided for us last Friday. From the moment we arrived the night before we were made to feel so at home. Paul could tell I was a little on edge and immediately showed us to our room and delivered a bottle of Prosecco to calm my nerves. It was just what we needed! The venue is so beautiful and the way it was prepared for our wedding made it look even more special. The wedding breakfast went seamlessly and we were so glad that we booked Premier Crew catering. Our guests are still raving about the food and service! I couldn’t count on 2 hands how many times our family and friends have said that they now understand why it’s called 'That Amazing Place'. I could keep going forever as every part of the day was perfect, but to round up I just want to give you, Paul, Sarah and everyone working on that day, a huge thank you for listening to exactly what we wanted, making us feel welcome and making our magical day, a day we’ll never forget! Our wedding was the most amazing day, we couldn't have asked for a better venue. Staying the night before with friends we were made welcome by Paul the owner and throughout the wedding day we felt very looked after and didn't have to worry about a thing. The grounds and interior looked so beautiful and everyone commented on how lovely everything was, including the rooms we stayed in. Thank you to everyone that helped, we had the perfect wedding day.